The vast majority of small businesses stay small - and not by choice. Only the most savvy and persistent (a tiny one tenth of one percent) break through to annual sales above $250 million. In The Breakthrough Company, Keith McFarland pinpoints how everyday companies become extraordinary, showing that luck is a negligible factor. Some companies seem to thrive naturally, attaining success after success. Others limp from one lackluster year to the next. What makes one company blossom while another wilts? In CEO Tools 2.0, CEO coach and C-level executive Jim Canfield reveals the importance of making your business meaningful to yourself, your customers, and your employees. You’ll discover how to better communicate your goals, execute your intentions, and optimize your results. The end goal is a healthy, flourishing company that maximizes profits while freeing CEOs from the humdrum routine of daily operations. 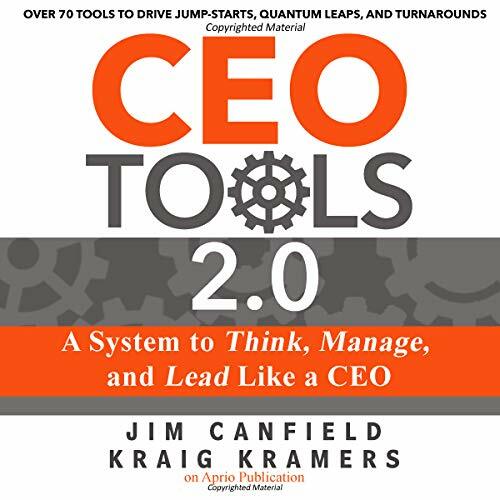 Filled with practical, actionable ideas and relevant case studies, CEO Tools 2.0 builds upon and updates Kraig Kramers’s original CEO Tools. This powerful system enables you to make the most of your time and expertise - and become the CEO you were meant to be. You never stop learning regardless if you have long experience in Business or just starting out. 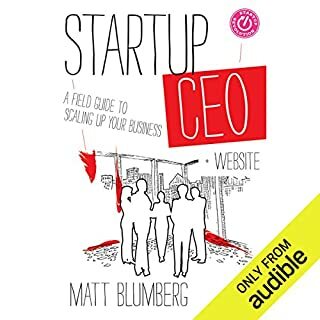 This Audio Book will help guide you to improve the performance of your Company or give you the tools to start a new Business. The Narrator does a good job delivering the material to the listener. .This book was given to me for free at my request and I provided this voluntary review. I appreciate this succinct and systematic guide to management. 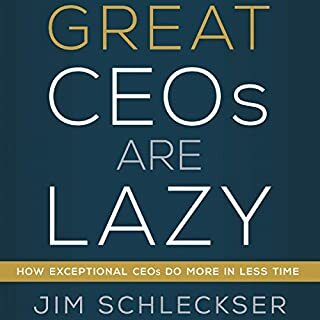 Though I’m not yet at CEO level, this book had specific strategies I can implement now to ensure success in the future. I’m excited to see how my work is impacted by these tools. It is filled with great advice, practical tips and lots of knowledge. 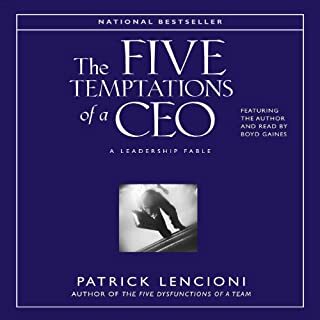 I would recommend this book to people in business, managerial positions or just looking for better position and self-growth. This is an interesting book, worth your time. Length: 5 hrs and 12 mins. Excellent read. Author and narrator did a good job. My hope is that this review helps in your decision whether to obtain this book. This was a somewhat difficult book to review. It has a lot of information that is geared towards executive management level people. I am not at that level in my career yet. I'm a mid-level manager and I primarily manage project teams. Now, that is not to say that I didn't get anything out of this. I did managed to glean some useful insights into being a better leader. It also provided me some food for thought on what is (or should be) important to executive leadership. The narration is done well and kept the content interesting. All in all, I would say this book has some value to anyone in a leadership role, or who would like to be. I thought this guide was going to be primarily for CEO's, but it is an outstanding guide for anyone leading a team. 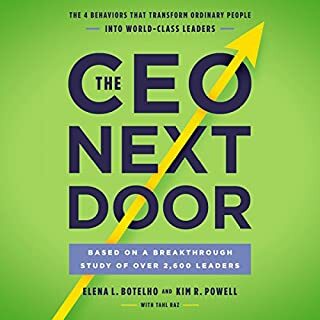 Packed with practical advice, each chapter takes the reader from "disappointing but expected results" to a thriving team, full of energy, engagement and a desire to bring the company forward to the next level. 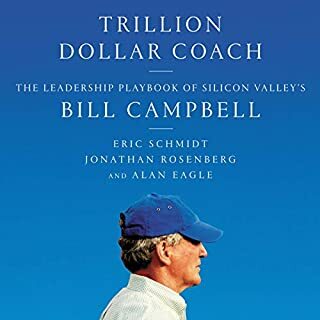 Fantastic for businesses large or small, this book is written from the knowledge base of a proven expert in turning around businesses from mediocre performance.... to breaking through all new records and achieving dream results. The knowledge comes from actual case studies of processes and practices that work. 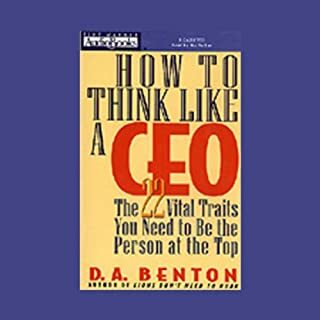 There are plenty of books that give general good advice to managers and leaders. This is way out of that league and takes the leap to a whole new level. The book is brought to life with narration by author Jim Canfield, who is easy to listen to and brings the book home.